Most industries have been told for years to innovate or die. And the retail industry is no different. The first wave of retail disruption came in the form of the e-commerce revolution made possible by advances in technology and the birth of the dot.com giants such as Amazon, PayPal, eBay and Alibaba. The second ripple was felt with improved accessibility to technology — from faster internet, affordable personal computers to the birth of the smartphone. Indeed, while all these advances continued to reshape consumer habits and expectations — particularly on the online side — brick and mortar retailers were in a race against time to transform their retail business or risk losing it. Yet, despite this real threat, many retailers underestimated the sense of urgency which was made clear by countless high-profile casualties of the so-called ‘Retail Apocalypse’. In 2018 alone we saw household names such as Toys ‘R’ Us, Coast, and House of Fraser go into administration. Based on these headlines, it is very easy to assume that the importance of physical retail is over. However, surprisingly for many, online sales only account for around 17% of total retail sales. What’s more, a recent survey showed that 80% of shoppers still prefer shopping at a physical store, largely because people enjoy engaging with other people. As a result, retailers are now realising that they need to embrace in-store technologies in order to retain their market share and grow while making the physical retail shopping experience as frictionless and efficient as the online store. Which brings me to our news: with an interesting cluster of retail-tech portfolio companies here at Nauta Capital, we are excited to share our £3.5M Series A investment in Mercaux. Founded in 2013, London-based Mercaux enables retailers to transform their offline environment by leveraging the power of the digital in the physical world. Through its powerful platform, Mercaux empowers retailers to deploy and implement large-scale digital functionalities in their physical stores. Mercaux’s solution helps drive business performance while empowering salespeople to provide a more personalised and service-oriented customer experience. 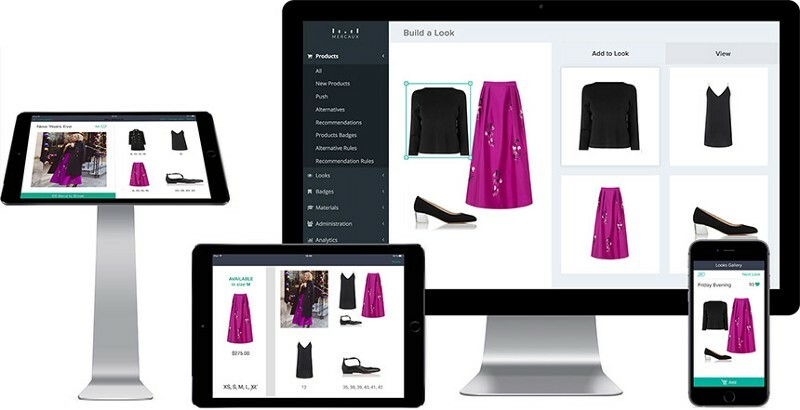 The company’s solution features a mobile sales assist application which gives salespeople real-time product and an inventory check, style ideas and inspiration, and a better understanding of customer buying behaviours. It also connects the in-store experience with e-commerce, allowing to place online orders from stores or capture in-store preferences for online marketing. As such, Mercaux’s customers benefit from full omni-channel capabilities resulting in a double-digit uplift in sales and a 20% increase in salespeople efficiency. Moreover, the platform has a Head Office tool which allows retailers to capture and analyse in-store data, providing real-time visibility of how salespeople and customers behave, or which products are the most popular. In addition, it facilitates communications between the HQ and their salespeople. Setting its sights on the large-scale digital transformation of the $4trn retail industry, Mercaux serves large multichannel retailers from the fashion, sports and beauty segments. With an impressive commercial traction, the company counts brands such as Karen Millen, French Connection, United Colors of Benetton, and Nike as existing customers. No wonder then, that Mercaux’s platform is used more than 100,000 times per day across 250+ stores worldwide. To continue with this momentum, Nauta’s investment will help Mercaux accelerate their growth and expansion into new markets, as well as open a new R&D hub in Barcelona. But beyond the company’s fit with Nauta’s investment thesis and our interest in the retail technology space, Mercaux is led by Olga Kotsur, as its CEO and founder. Passionate about retail technology, Olga started her career at Boston Consulting Group before attending Harvard Business School to do her MBA — a journey which ultimately led her to start Mercaux. An entrepreneur full of conviction, Olga has impressed us with her deep industry expertise and business acumen, but also her unwavering focus in closing a Series A — even whilst giving birth!